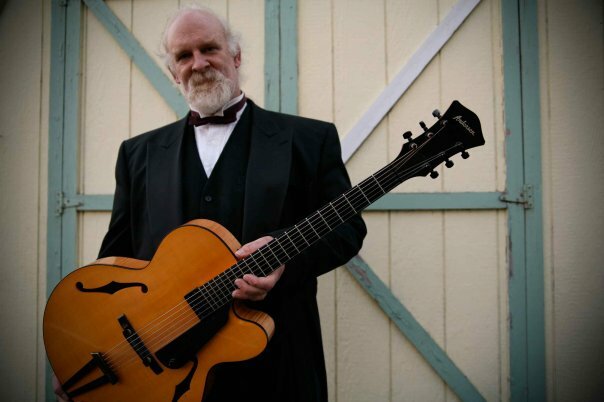 Jazz guitar virtuoso Vince Brown has played with the best of 'em. Catch him at the Spar playing solo jazz guitar in a style reminiscent of the great Joe Pass. Brown is familiar to audiences in the Pacific Northwest from his work with gypsy jazz group Hot Club Sandwich; the western swing outfit Red Brown & the Tune Stranglers; the modern jazz ensemble The Greta Jane Quartet and countless appearances on stage and in the studio with many of the finest musicians the region has to offer including Pearl Django; Del Ray; Dan Tyak; Eric Stern; Paul Anastasio; Paul Mehling; and many more.